there aren't enough hours in the day to track all that is happening, so I'll try to stick to the highlights. Last night Clay & I took our nephew Connon with us to the Palm City Nursing and Rehab center, to do a song and word service for them there. WOW what a time we had! Prayer, worship and a message from God to knock your socks off! Once God opens the flood gates of Heaven, watch out, cause things happen and they don't stop! We continue to maintain, Christians need to stop "doing" church and start BEING the CHURCH Jesus called us to be! Church should be a state of living, not a Sunday activity. In the midst of all our imperfections a PERFECT God can do GREAT things through us when we just tell Him YES!!! WE ARE WILLING TO OBEY HIM. til next time, we are ONE in Christ with all who call Him Lord. Blessings! okay, I think I've got this Posting blog thing down, but no counting of the chickens and all that. hopefully, I've linked successfully to our website page link (turnthetideministries.com) and hopefully people will actually read this blog! This is all about the ADVENTURE! The adventure of my lifetime, but also for others, because not everyone is called and gifted to do what Clay and I are doing, but they can still be part of the adventure through this blog for instance. For those signing on who want to catch up, here's what is going on. I started reading the Bible when I was 6 years old. And the thing is, I believe it. Every single word without exception. Because I believed it, I started to act on it. And because I started to act on it, I've seen some incredible things happen! In spite of my making outrageous mistakes and bad decisions and committing outright SIN against God, I've watched God TRANSFORM my life and seem some awesome miracles! God put it in my heart to travel the United States and preach the Gospel. No formal plans laid out in advance, no specific places to go, no known source of income. Just a call by Him to 'GO AND PREACH THE GOSPEL'. Then, He blessed me with an incredible husband with the same heart - all off we went! Closed down our ice cream shop, gave up everything, sold all we were able, and got into the little 20 foot RV God gave us and left our beloved Colorado. We are currently in Jensen Beach Florida and it has been GREAT!!! I may run out of cool titles but He never runs out!! Once upon a time Jesus said if you would lose your life for His sake, you would find life. His definition of life. I like His definition. Truly the only gift that keeps on giving! We spent Palm Sunday at Divine Anointing Worship Center with Pastor Smith and his wife, Clover. The worship service was indeed anointed and blessed our cotton socks off. The congregation responded with fervent worship as Clay and I shared some of our original songs and words of encouragement. Then a timely message reminding us of Gods faithfulness and our frailties. At lunch with Pastor and his wife the next day we discussed how Clay & I might best come alongside them and assist in the work God is doing. They were so open, so in agreement with us and what God is doing in our lives. I have to admit, there was a tiny part of me, as we left Colorado, that wondered, “How is God going to do this?” Not doubt, but wonder. He is truly a wonder! How He opens hearts, opens doors and directs our paths! I am certain that there are many times doubt enters your hearts about actually doing some of the things the Bible says are best for us. In our narrow vision we have trouble seeing how God can bless us in that circumstance, meet our need, provide for us in this particular situation. God is well aware of the human condition, and His response is always one of love, never impatience. It is amazing, but giving always blesses the giver, loving the “hard to love” always results in love all the way around, honesty really is the best way to go and obedience never fails to result in our BLESSINGS! I know some thought we were a little off our rockers when we declared we would be selling EVERYTHING, deliberately becoming “homeless” and traveling to preach the Gospel with no “formal” backing. That’s ok, because I also know God is our “backing” and He is using this experiment of His to show His love and faithfulness for others to see and build their trust in Him. He is opening doors- a church for us to bring those we minister to that need that kind of setting. An informal fellowship we’re leading for those who will best respond in that situation and we are convinced that anything else He wants to do that we’re willing to put our hands to work at He’ll equally bless and provide for. We’re listening to His direction to form “The H.U.B.” His United Body. The prototype we envisioned of a center for church, business and the whole community of believers to come together and reach out to the lost, feed the hungry, teach life skills and offer hope to the hopeless! As you may have guessed already, that’s where we are right now! As always, Gods timing is PERFECT and what He’s had us doing wasn’t “busy work” but the actual work of His Kingdom, to bless one of His children. Allow me to elaborate on this for those incapable of reading my mind. We arrived in Florida ready to take on all comers and bring everyone, in one big sweeping motion, directly into the Body of Christ for Gods eternal glory!! Only, that wasn’t what He wanted us to do! We arrived to discover that circumstances dictated that my brother move from the home he’d been renting- which had plenty of room for us to park the RV and work out of. He was moving into a house better suited to the needs and desires of his family, so it was a GREAT move, and would cost them less each month as well, and has a POOL and fenced yard for the dogs that he really needed, but… no GREAT place to park an RV. We didn’t sweat it – he’d figured on putting down some extra “ground” at the side of the house and having us park there. Except, hmmmm that wasn’t going to work as well as it sounded. So we just got to work, cleaning the new house, moving all the stuff, and there was a LOT of it with all his auto mechanics equipment, and then cleaning the old house for the new tenants. The whole time, we kept the RV at the old house, wondering what we were going to do. We also kept trying to make contact with local shelters and churches to get a “home base” set up for evangelism. Things that needed to be done for my brothers family kept taking all our time, and we were glad to be able to help and do for them, yet we were chomping at the bit to “get started”. On Wednesday, God gave me a very definite vision of a house converted to a church. When I shared the vision with Clay he reminded me that God had been definite about us not starting a church but remaining mobile. Hmmmmm………. Wednesday evening we treated ourselves to pizza out and laid out a definite schedule to pursue the next day, and prayed. We knew that man makes his plans but God directs his steps and we were claiming that for ourselves! That’s it, nothing else. I asked Clay to u-turn and pull into the driveway, which he did. We walked around and peeked in the windows. Sure enough, it was looking like a church inside! We found another little sign tucked into an alcove with a phone number on it, so we called. It was a Pastor who rented the building for service in Spanish on Sunday afternoons. He gave us the name and phone number of the person who owned the building. As we headed back down the road, we called Pastor Carlton Smith and he asked us to return to the church and talk, as he was just getting there and we had only just left to continue to the RV park. We turned around and went into the church and had the most wonderful meeting! First, he prayed, with power and anointing! Then, he asked us to share, which we did. He told us he needed a worship leader, and had been close to hiring someone. 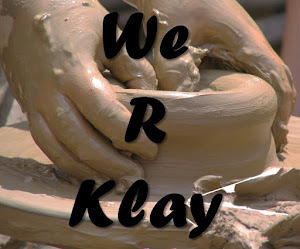 Could Clay play guitar? We said yes, and that we wrote worship songs if he’d like to hear them. Which he did and this Sunday, we’ll be leading worship for the Divine Anointing Worship Center! He’s excited about our evangelism ministry and wants to help us in that direction, possibly opening other doors for us in the future. We offered him a chance to get our references, etc, which he declined with a simple “God knows what He’s doing”. We’d say this was a once in a lifetime opportunity, except this is the SECOND time God has done this for Clay and I! we experienced this in Denver, when I asked God how we could possibly just go somewhere and minister in His name without anyone knowing us, and He showed us!!! On the RV park – which is perfect for us and has a community Clubhouse available to us free of charge to hold Bible Studies, and the manager said no problem with us inviting the other RVer’s to join us if they’d like! We’ve rented space #25 for the next 6 months and are right across the street from the water! There’s a wonderful place for Jack in our “spot” and we are in AWE at Gods provision for us – and all in ONE DAY! We now have a church home to bring people to who will need that type of atmosphere, and a less structured Bible Fellowship we’ll hold for those we witness to who will thrive in that atmosphere. We couldn’t see how it would come together, but from the foundations of the world, God had it all in place! And now the real work – sharing the Gospel and bringing souls into the Kingdom for Gods Glory!! GOD BLESS YOU AND PLEASE KEEP PRAYING FOR US! WE LOVE YOU ALL. WHAT WOULD WE DO WITHOUT….? What would we do without the encouragement of others? I hope to NEVER find the answer to that question! We are so thankful for each and everyone of you that replys with all that wonderful and NEEDED encouragement when an update is sent out! We truly thank God for you and pray for you! When you hit that reply button, keep on encouraging us, but also, please let us know any and all specific prayer requests you have. It is our joy and privilege to pray for Gods people! We stopped in Erwin TN, the birthplace of Clays Mom. Met Aunt Ted(Thelma! I asked!) and Aunt Norma, who still lives in the beautiful house she and Uncle Billy built back when. She was slightly under the weather with a cold, so we were doubly blessed to be able to pray for her. Turns out the “little stone church” Clay remembers swimming in Rock Creek behind is none other than a Church of God! (My background and where I earned my ministers credentials!) We had no trouble joining right in with our sisters and brothers in Christ and had a rousing time of praising the Great God we serve who loves us so very much! After a word in due season (so often it seems God sets up sermons ‘just for you’, doesn’t it?) we continued on our way. We stopped at a Ryans restaurant in Georgia, where we were so very blessed to meet Jensie and Mandy. Not only was the food pretty good, but God opened the door, and we were privileged to share truth with them, and minister grace to Mandy, who had gone through a divorce, and believed she was no longer loved or wanted by God or the church. She surely knows better now, and we pray she enjoyed a special presence of the Lord healing her wounded heart this past Sunday! GOD CONTINUALLY REMINDS US HE IS INTERESTED IN INDIVIDUAL SOULS, NOT IN OUR GATHERING GREAT HORDES AND IMPRESSING OURSELVES WITH “HOW MANY”. WE ARE CALLED TO BE A VOICE CRYING IN THE WILDERNESS, CALLING EACH LOST LIFE TO ETERNAL LIFE THOUGH CHRIST THE SAVIOR. ALL OF HEAVEN REJOICES IN ONE SOUL. SO SHOULD WE!!!!!!!!!!!!!!!!!!!!!!!!!!!!!!!!!!!!!!!!!!!!!!!!!! GOD BLESS YOU ALL. DON’T STOP PRAYING FOR US. Isn’t that what life is? Isn’t that what it ought to be? Why do we think life must be what “everyone else” has defined it to be? Once upon a time, people lived very differently than how we currently do. Once upon a time, they were nomads, traveling wherever, whenever. Once upon a time people went where no one had ever been, and did things no one had ever done. All of it ordained by God Almighty, the Creator and Great Innovator of all time! We are thankful for this wonderful opportunity God has given us to travel and meet so many new people and see things we might never have seen otherwise! Thank you God! Now we’re back on the road, trusting God for each day and every moment and doing our best to allow His light and love to shine through us toward others. Apparently I needed a reminder that God is always on time and never late! Clay and I had misplaced something of some value. We searched high and low, and then checked everywhere again, once again, and twice checked places we were certain it could not possibly have ended up! For two days, we went through everything we owned, every possible spot and nothing turned up. We prayed, and left it in Gods hands. (with just a little constant concern on my part!) Several days later, on the very morning we honestly needed the item and were prepared to do without, lo and behold there it was, right in front of our faces! Clay suddenly remembered setting it aside in that place, figuring it would be safe. It was certainly safe, as even we couldn’t find it when we looked! Yet, on that morning when it was needed, no effort or struggle on our part whatsoever, God led me directly to it like it was the most natural thing in the world. And it was! When our lives are fully in His Hands, the supernatural IS the most natural to us! It amazes me how many times and the many different ways God shows Himself faithful and trustworthy and STILL we struggle to trust and believe Him! Remember the Israelites? God parted the Red Sea for them and then closed it over their enemies and utterly delivered them – and still they worried and wondered and complained even about if God would truly care for them and meet their needs! Now, here’s the very best part of this. God knows we are human and that we’ll constantly need reminding of all His Goodness, and HE DOESN’T MIND REMINDING US! He never gets impatient or fed up with us. He will never give up on us. He is ALWAYS steadfast, always faithful, always trustworthy and always loves us. My my my, what truly blessed people we are! My earnest prayer is that we will all be encouraged by these updates! Praise God for His constancy and sovereignty in our lives!! God continues to show Himself faithful! In the midst of finishing up packing, selling everything that we can, and getting all the last minute details seen to, we find ourselves faced with opportunities to share Gods awesome grace with others who have need. At the Open House the other day, a gentleman inquiring about a purchase began to tell me the tale of his life – how after 38 years his wife left him, he has a heart murmur and was just informed that he has pancreatic cancer. And how much was the comedy movie he was looking to buy? Instead of pricing I gave him Proverbs: laughter doeth good like a medicine. His eyes widened and then he smiled, a real, full face smile, and I “felt” the presence of God inspire me. I asked if I might pray for him, and he eagerly told me yes. I took his hands, and prayed, and the man who left with the comedy movie tucked under his arm was DEFINITELY standing taller and straighter than the man who first walked in! I don’t know what God is going to do, and I hope he really does call me and follow up as I asked him to do, but I do know that Gods word never comes back void, and what occurs now is between him and God. Let’s never lose sight of the very present FACT that God is interested in each single individual. We often think in terms of “groups”, but God is an individual God! Hope to hear from all of you what’s going on in your lives??? Clay, Marie and Jack Dog, of course! What if one were to take God at His word? This wouldn’t be something that’s never been done before. See, it has been done, and done successfully time after time after time. BUT…what if YOU did it?